25″ wide by 20″ tall. 22 gauge steel. Edges finished with 2″ box fold. 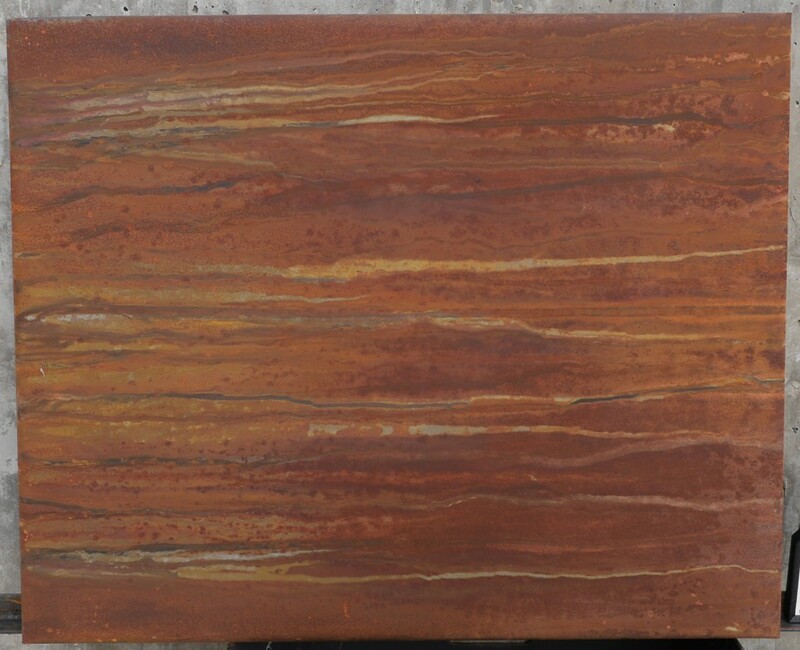 Sheet Steel, with controlled rusting and patination.